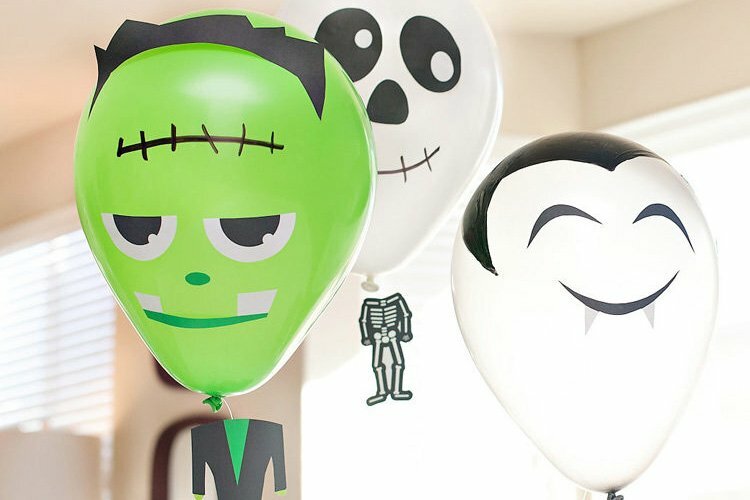 Here at Banner Events, we are huge Halloween fans! 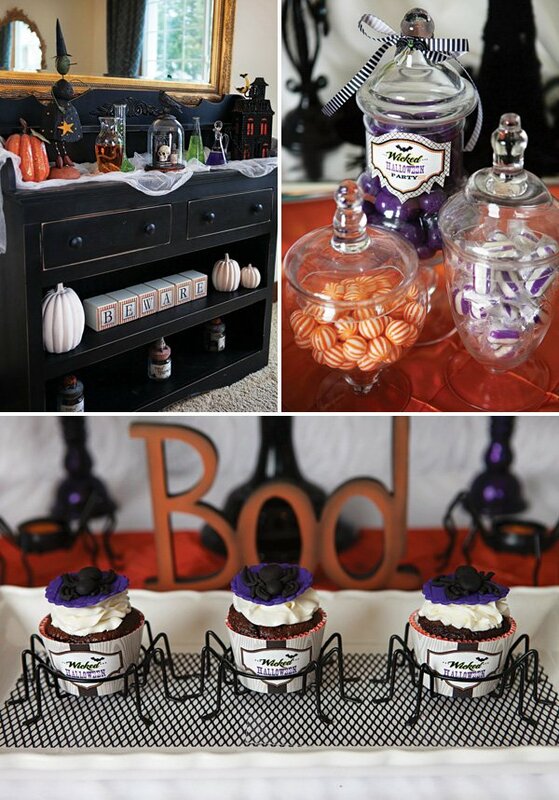 Planning a Wickedly Sweet Witch Inspired Halloween Party was a dream come true. 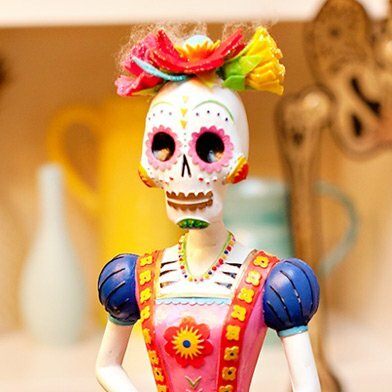 Conjuring up a mix of cute and creepy decorations, sweet & scary treats and spellbinding favors was so much fun! 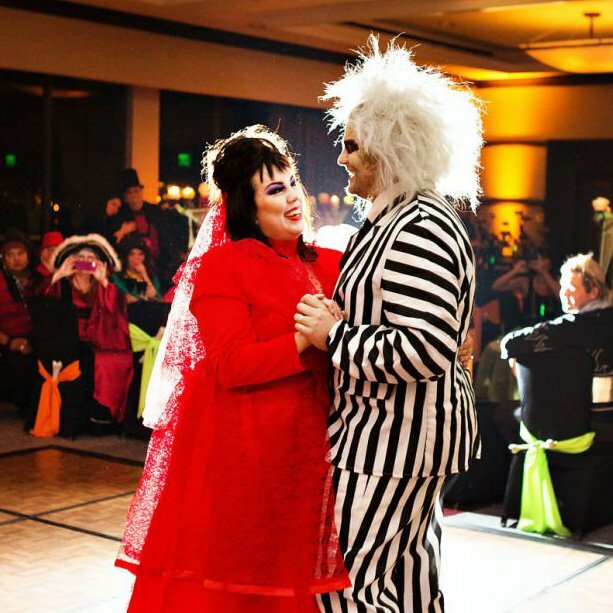 We hope you find delight from the spooky festivities captured by the talented Karina Rigtrup of A Fresh Take Photography. P.S. We’d like to wish Jennifer a very happy birthday today! 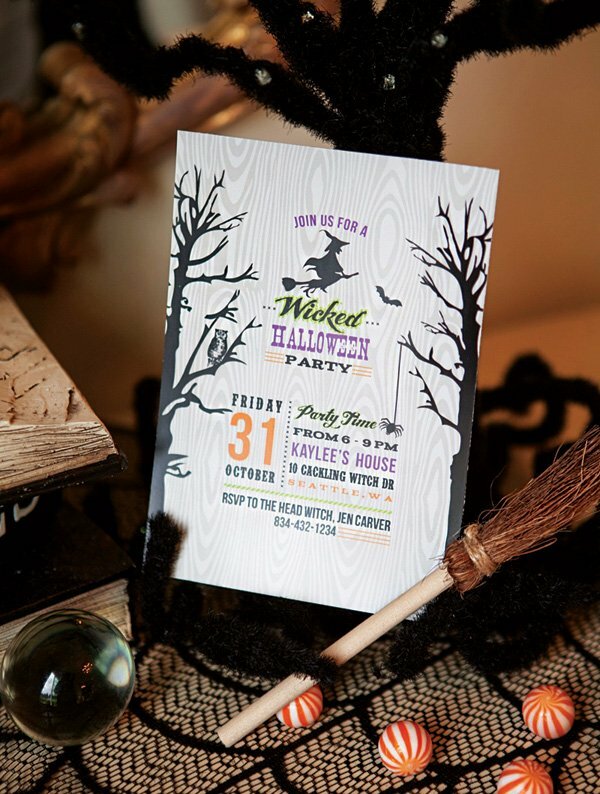 Setting the stage for a wickedly sweet “spell-abration” was easy using a new “Wicked Witch” printable invitation and party collection from Anders Ruff Custom Designs. 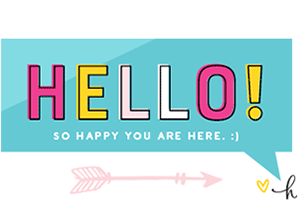 We incorporated several elements inspired from the printable designs into our soiree! 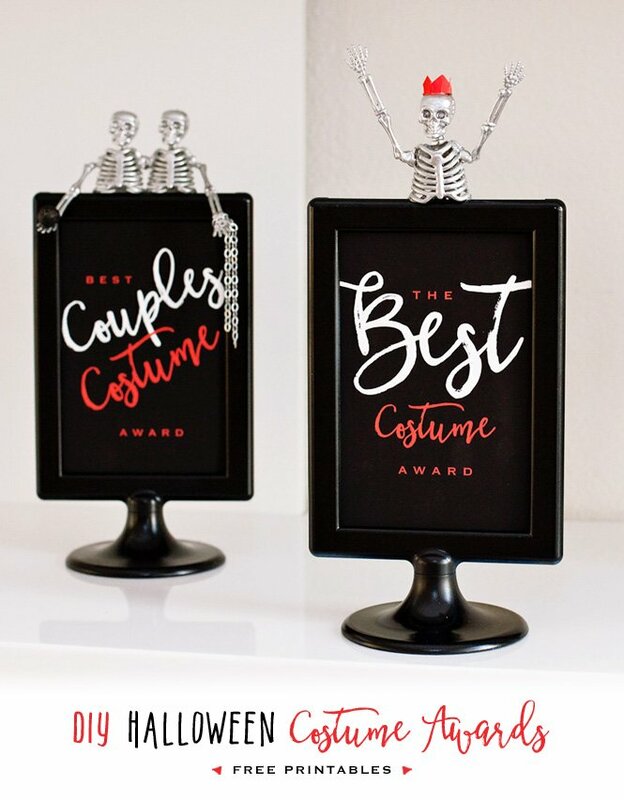 Some of our favorite inspired design items included the haunted ghost trees, faux bois backdrop, classic Halloween color palette and framed and glittered witch silhouette — a work of art by Ten23 Designs. 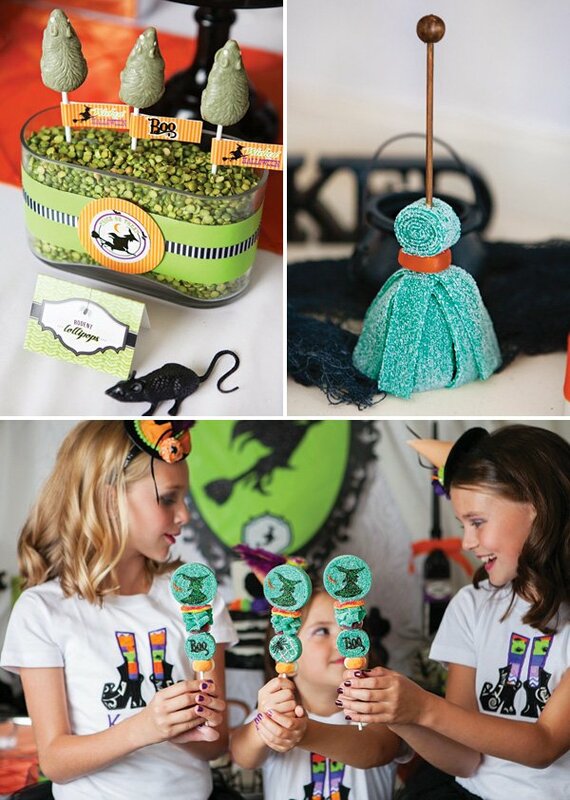 Brewing up wicked fun started by helping little girls summon their inner “witch.” We accomplished this by helping them dress the part! Adorable witch inspired outfits were created by a talented trio with a few tricks up their sleeves. The gorgeous couture tutus and witch fascinator hats were designed by Atutudes and Cupcake Wishes & Birthday Dreams, respectively. Darling witch applique shirts were designed and personalized with each girl’s name by GreatStitch. 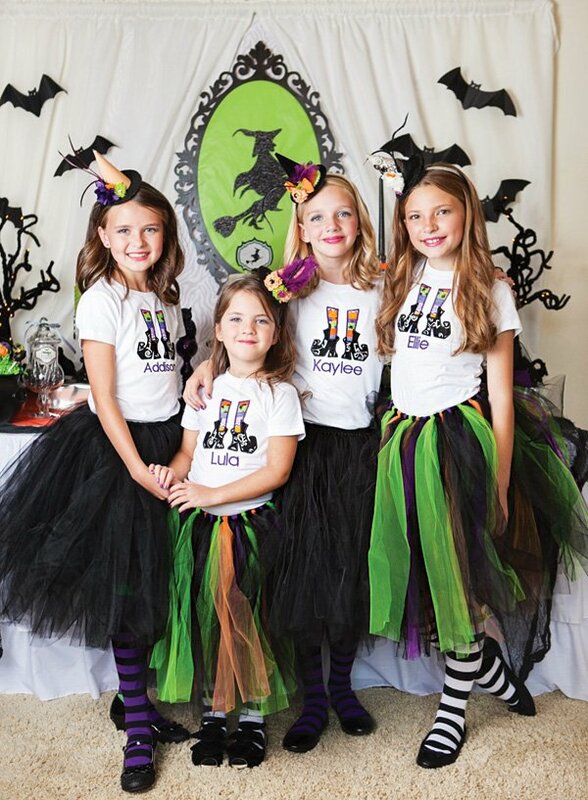 Our little witches were then treated to “toad”ally sweet makeovers, including makeup and curls from my talented hair and makeup stylist friend, Ashley Parrish. With their boo-tiful new looks, our witches were ready to sit down for a spell and partake of the wickedly sweet dessert table offerings. Designing the dessert table was a highlight for me. Inspired by the gorgeous framed silhouette used in this exquisite Maleficent party by Michelle’s Party-Plan-It, I asked Lauren of Ten23 Designsto create a similar backdrop focal piece using the signature witch from Anders Ruff’s wicked witch designs. Lauren’s work always impresses and made a striking centerpiece for our backdrop. I hunted for true faux bois fabric to use for my display, but didn’t find anything locally, so opted for something similar with the grey zebra fabric. It brought in a little bit of that creepy feel. Because I wanted to mix a little bit of glam with the creepy, I used my much loved ruffle tablecloth by Candy Crush and spooked it up a bit with some creepy cloth from Oriental Trading Company. Oriental Trading was my go-to source for most of the Halloween themed props and décor items used throughout this “spell-abration.” To reinforce the “wicked” theme, I hung a cute banner from the Anders Ruff collection. I DIY’d the paper rosettes which backed each letter to tie in more of the bright green color. 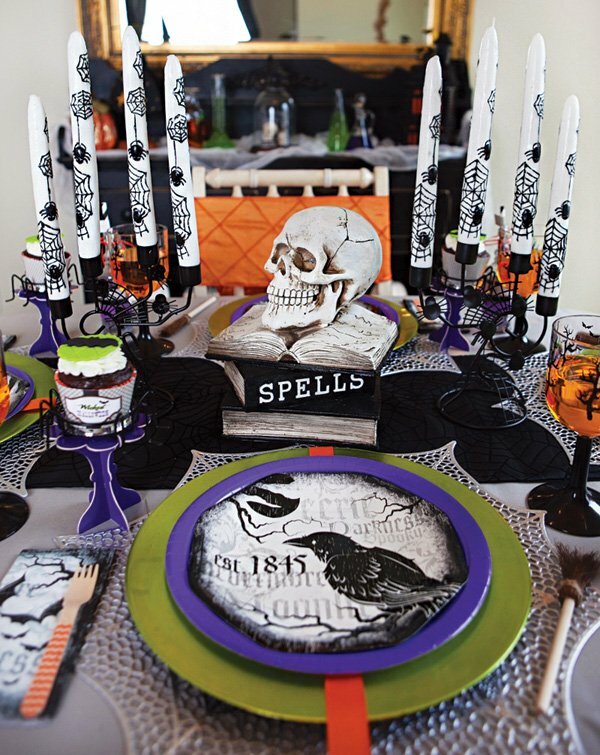 The tabletop was costumed for the party in a variety of spooky décor. I adore the haunted ghost trees (OTC), which even lit up using LED technology. We embellished glass bottles and added black candles, threw in some plastic rodents and feathered crows (both from The Dollar Tree). 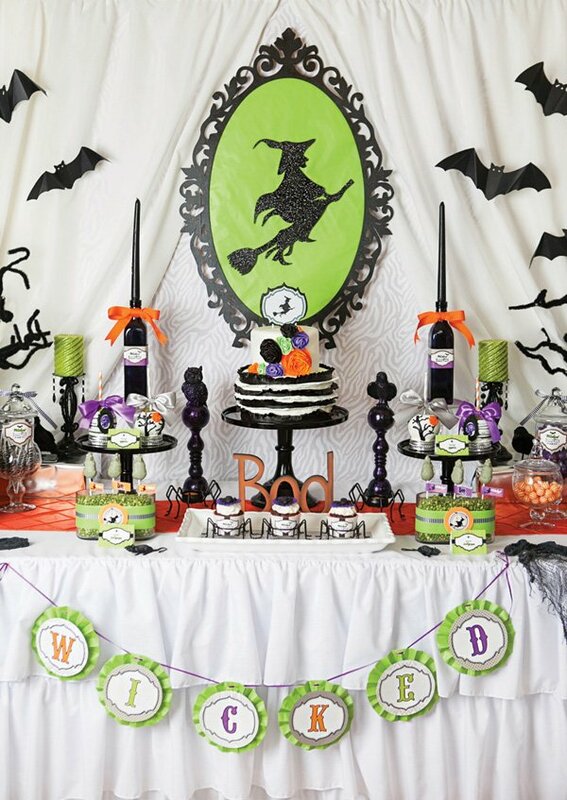 Tantalizing treats topped the table and were enjoyed amid cackles by our sweet little coven. Choosing a favorite proved difficult, as each had magical qualities enjoyed by guests. There were scrumptious “cauldron cake pops” masterfully crafted by Vypassetti Cake Popsand gorgeously decorated “poison apples” by Roni’s Sugar Creations. Notice those beautiful silver trinket box stands? Those are from Maison du Bonbon.We loved how Roni took inspiration from the printable invitation and incorporated the haunted tree and owl on the caramel apples. To add a little creepy to our dessert table, rodent lollipops from Oriental Trading Company were displayed in glassware we filled with dried green lentils. 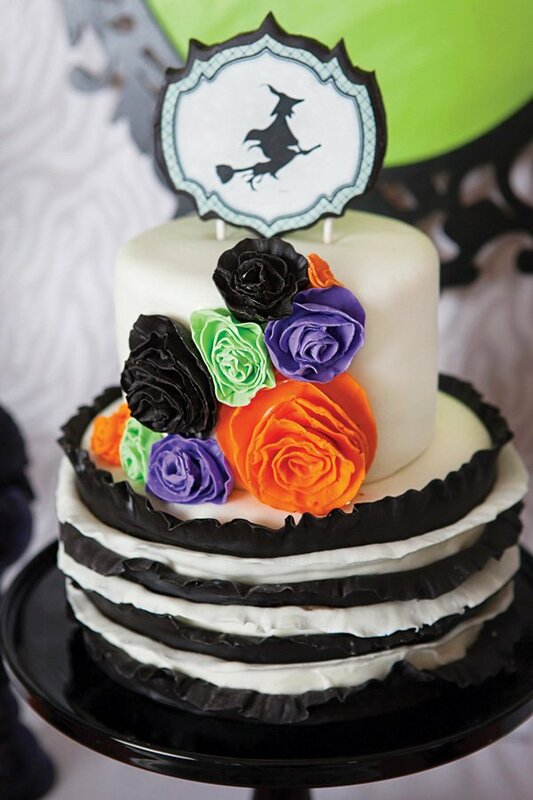 Printable flags and food labels added a pop of color and helped guests identify the ghoulish delights Christina of 4 Kids Cakeshas long been my cake designer of choice. She produced the impressive black and white ruffle cake, adding sweet fondant flowers and an edible chocolate topper to really wow guests and complete the look of the dessert table. She also baked up mouthwatering chocolate cupcakes embellished with cute fondant spider and bat toppers by Kima’s ConfectionsWe loved displaying these atop our metal spider cupcake holders. In addition to all of the custom treats, apothecary jars dressed up in printable labels and ribbon provided homes for favorite treats from Oriental Trading. Candy is always popular and we love using it as an inexpensive way to add pops of color throughout our table styling. We carried some of the creepier candy into our neighboring hutch. 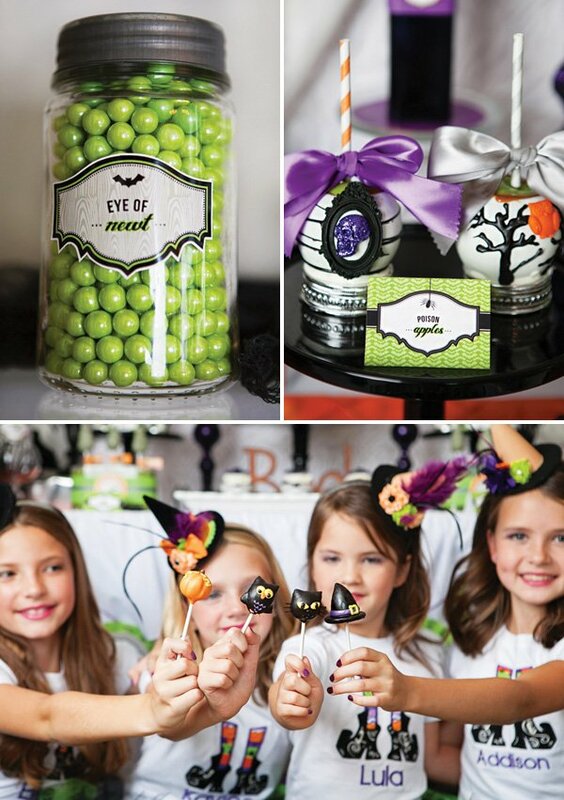 There were “eerie eyeballs,” “magic worms,” “bat droppings” and even “eye of newt.” A safer alternative for our timid witches was presented in the form of Hershey Kisses embellished with colorful Halloween printables from Anders Ruff’s collection. 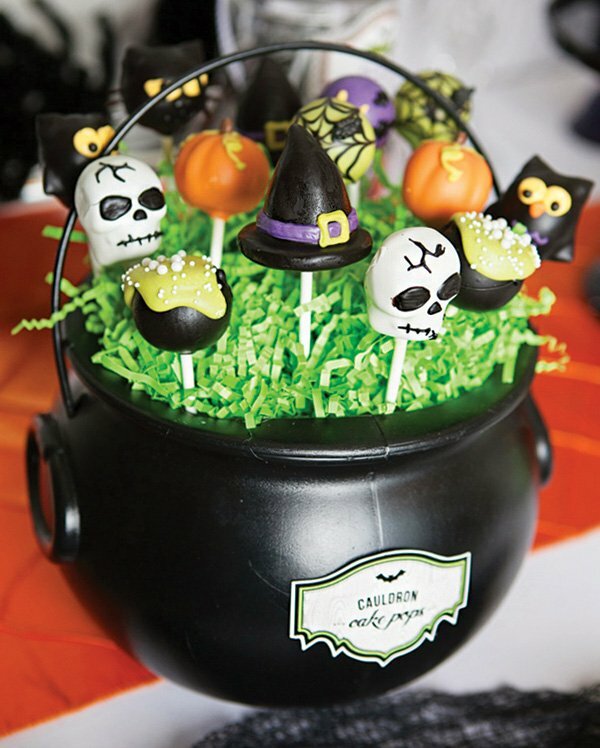 Also on display were custom witch and witch broom candy kabobs by Sweets From Heaven, Outlets at Orange. These were by far one of the most sought after treats! I may have seen a hex or two issued to keep other ghouls and goblins from running off with them. 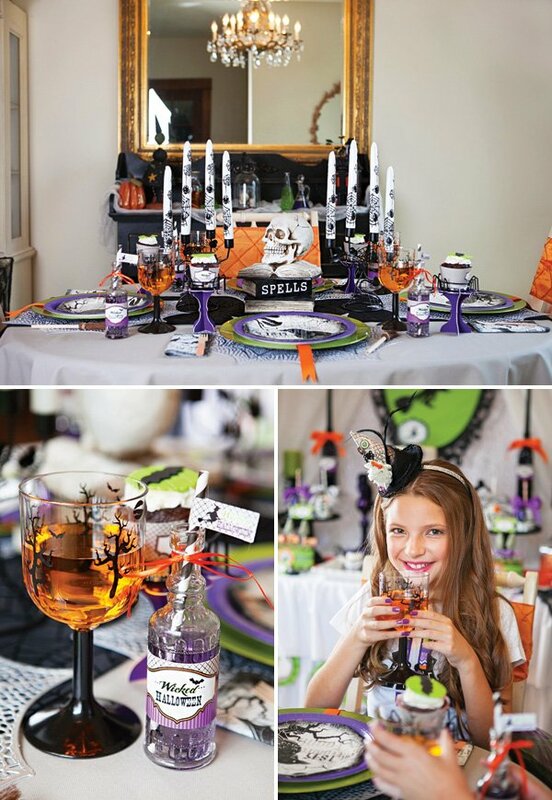 Witches dined in style with place settings created from spider web placemats, layered chargers & spooky soiree themed tableware. We loved using Via Blossom’s vintage glass bottles as our potion bottles with purple elixir! 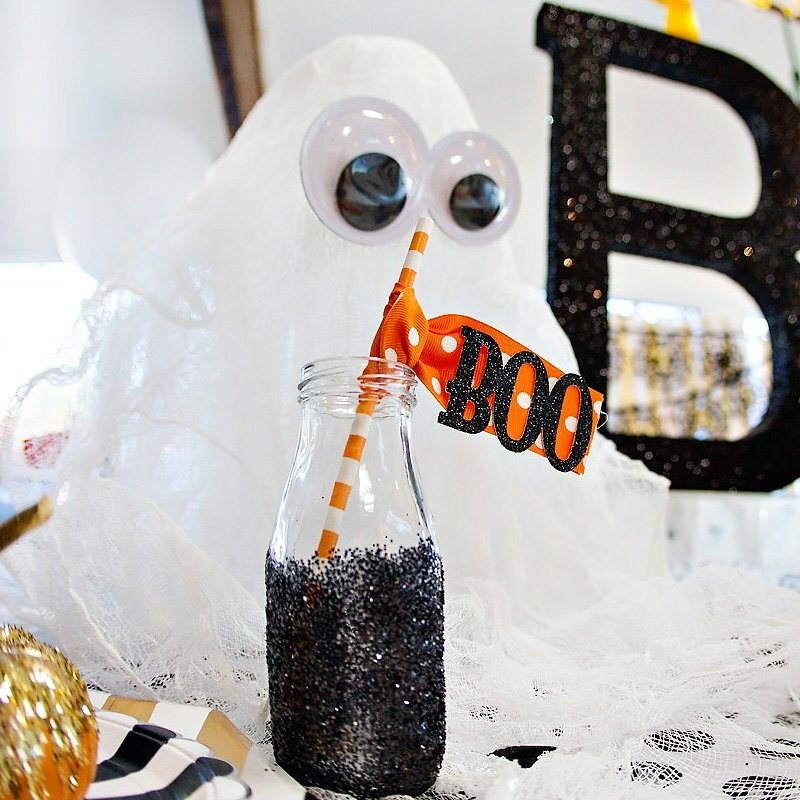 We thought they looked especially bewitching with their custom beverage wraps and party flag topped straws from Hoopla Events. 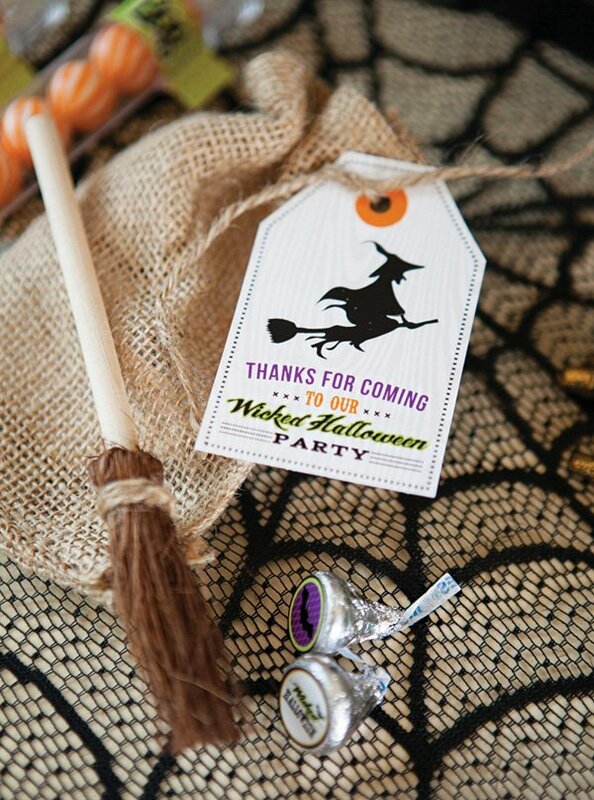 Every witch needs a broom, so each place setting included a miniature broom to add that wicked touch. Our table was accented with spider web candelabras and a spell book & skull centerpiece. 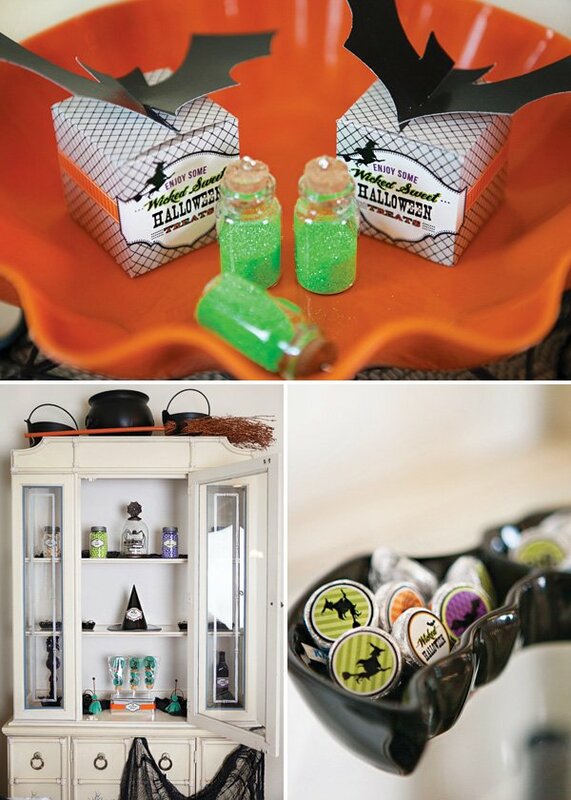 For party favors, burlap bags were on hand to be filled with small “hocus pocus” magic powder bottles, test tubes full of candy and custom Halloween printable crayon boxes — so many fun take home items that were definitely too cute to spook! This was definitely one wickedly sweet Halloween “spell-abration” with the cutest witches on the block!